A - B - Seymour: I've Been Tagged 3 Times and a FREEBIE!! 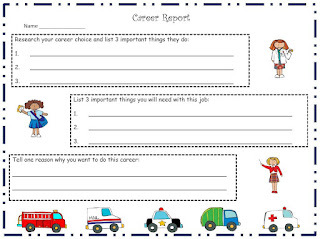 I'm also working on a new Social Studies Unit about careers, producers and consumers, and goods and services so I'll include a FREEBIE at the end just for hanging in there! 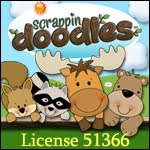 I hope to have my new unit up on my TpT store by Monday so make sure and check it out! I've been tagged by Marissa at WILD About First Grade, Becky at 2nd Grade Rocks, and Mrs. Dwyer at Mrs. Dwyer's A+ Firsties! Thanks ladies for tagging me...how fun! 2. What was the last book you've read? (Not related to teaching) Financial Peace Revisited by Dave Ramsey...trying the whole get out of debt (school loans) thing! 3. What kind of movies do you prefer? Comedy, action, drama, love story??? I love a good comedy or action movie...but I also LOVE a good love story! 4. What is your favorite grade to teach? I've taught first grade for three years so first grade!! 5. Coffee or tea? Neither...yuck! Diet Coke all the way! 6. Are you married or do you have kids? I've been married to my wonderful hubby for almost 4 years and no kiddies of our own yet. 8. Did you always know you wanted to be a teacher? Yes! My mama is a teacher so it's in my blood! 9. What do you like to do when you're not teaching? Read, travel, hang out with my hubby and family! 1. What is the last movie/tv show/book that made you cry? The Vow...so sweet! 2. What is the oldest item you own? Some jewelry that my grandma has given me. 3. What one food do you never get tired of? Sweets....I crave sweet things always. 4. If you had to pick 1 place in your town to bring a tourist, where would you take them? Several places come to mind....I guess it would depend on the tourist. Bad answer, I know. When my friends visit we usually go shopping!! 5. What one food do you never get tired of? Oops, see answer to #3. 6. What is your favorite book? I have so many!! I LOVE to read! 7. What is your favorite season? Fall...I love the colors, cool air, carving pumpkins, and the smell of bonfires. 8. What is your favorite beverage? Diet Coke! 9. When is the last day of school for you? June 1st! 10. If you could live anywhere at all where would it be? In the mountains....I love the west! Whew! That took awhile! Thanks for hanging in there! 2. What is your most embarrassing moment as a teacher? 3. What is the most exciting thing you will do this summer? 5. What is the most important item you use in your classroom? 6. What item would you love to have in your classroom? 7. What tip would you give to a new teacher? 8. How long have you been a teacher? 9. If you weren't a teacher, what would you be doing? 10. How do you celebrate the end of the school year with your kiddos? Okay, after ALL of that, I'm giving away a FREEBIE!! Love the freebie! It looks like we are getting ready to teach our first graders the same thing. I will totally check out your packet when you post it! Happy Easter! Thanks for the tag & the freebie! I will post answers soon. Thanks for the tag! :) I'll be posting my questions/answers later this week. :) Happy Easter! So how was Financial Peace Revisited ??? I'm on the same page as you on clearing out my loan debt :( Thanks for becoming a follower to my blog. Don't forget to join the Spring Break linky! I agree the I'd like to live in the mountains too. Your blog design is so cute and your title is very clever! I'm your newest follower :-) Thanks for tagging me on your blog! Hi Rachel! Following you too! Your new unit looks great! Where in Ohio are you?